Bloomberg Announces "New York Nonstop Day"
Bloomberg was in the WNBC studio Monday, helping the station launch its new 24-hour cable channel. 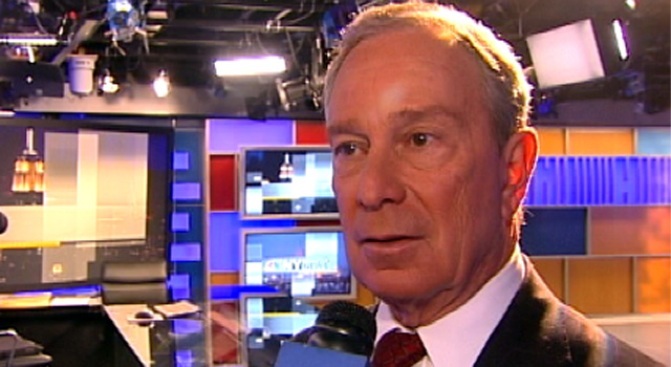 Mayor Michael Bloomberg helped WNBC launch its brand-new, 24-hour channel Monday. Bloomberg and his entourage graced the 30 Rock studios for about an hour in the afternoon to formally proclaim Monday as "New York Nonstop Day." + Does Bloomberg Have Tattoos? + Mayor Declares Monday "New York Nonstop Day"